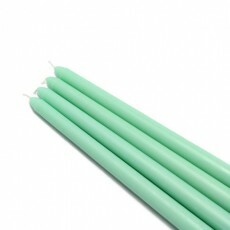 Taper candles have an emotional effect on you and the people around you. They provide an air of elegance and warmth. When a romantic dinner is what you have in mind, creating a simple centerpiece, using two or three taper candles, is the perfect start. Imagine the effect the ambience, created by these elegant candles, will have on you and your partner when you sit down to that special dinner. 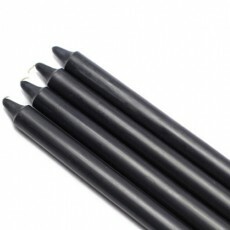 BeverlyHillsCandle.com offers the widest variety of high quality tapered candlesticks. 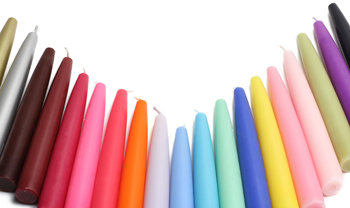 We provide a huge assortment of colors and sizes that will ensure that you will find your favorite candles at the most competitive prices anywhere. 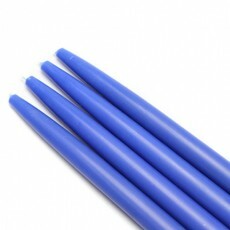 We offer 6 inch tapers, 10 inch tapers, and 12 inch tapers. In addition to our color assortment, our stick candles are also available in various styles. These candlestick styles range from standard tapers, straight tapers and formal dinner tapers, to over-dipped metallic finish candles for really special events. Use them daily or for any special occasion. 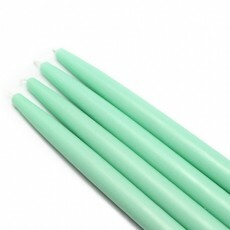 All of our stick candles are 100% hand-poured, dripless and have smokeless lead free cotton wicks. Shop the widest selection of taper candles and more at BeverlyHillsCandle.com today. 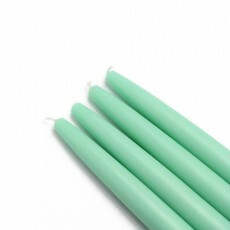 IMPORTANT NOTICE: These candles are considered "dripless" under certain conditions. 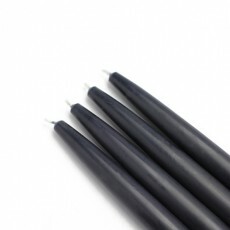 A draft, candles burning too closely together, or candles leaning at an angle can cause them to drip.